Dockers has been perfecting khakis since 1986. For versatile, essential style for day to night, go for their On-The-Go Khaki pants with its comfortable fabric waistband, breathable mesh pockets, moisture wicking fabric and hidden security pockets. It also has a newly added function - water repellency. Now you can enjoy 50% off regular-priced pants with minimum purchase of 2 pieces (priced at $129 each only) Jay Gee Card or Citibank card holders will enjoy an additional 5% off! Terms and conditions apply. We are very excited to announce that Trousers is the winner for Week 1! 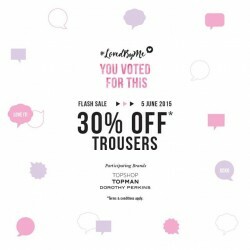 Trousers go on sale at 30% off this Friday (5 June) at Dorothy Perkins, Topman & Topshop! 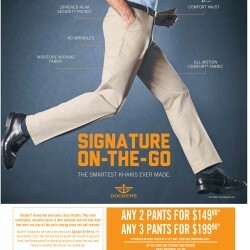 Enjoy this Men's pants promotion @ Dockers The smartest khakis ever made. Any 2 pants for $149. 90 & any 3 pants for $199.90. 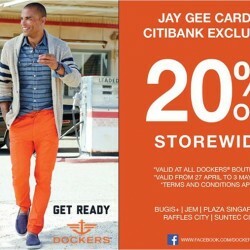 Exclusively for Jay Gee Card & Citibank Singapore card holders! Enjoy 20% off storewide at Dockers! 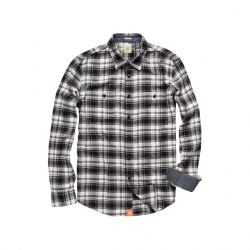 Available at all Dockers stores island-wide. Valid from 27 April to 3 May 2015. Terms and conditions apply. 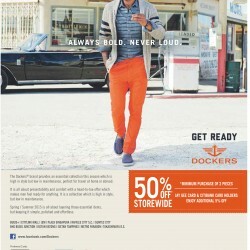 Enjoy 50% off storewide at Dockers. Min purchase of 2 pcs. Jay Gee and Citibank Cardmembers enjoy additional 5% off. For a limited time only. Always bold. Never Loud. 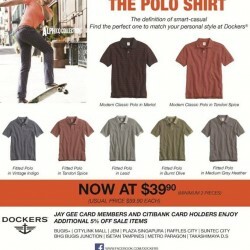 Dockers offers 50% off Storewide minimum in 2 pcs. JayGee Card & Citibank Card Holders and enjoy additional 5% off. Perfect for dress-down Fridays & the weekends, grab your polo tees from Dockers today! Now retailing at $39.90 each (minimum purchase of 2 pieces). Jay Gee & Citibank Cardmembers enjoy additional 5% off. Enjoy 50% off DOCKERS® shirts & pants when you purchase a minimum of 2 pieces. Prices from $89.90 onwards. 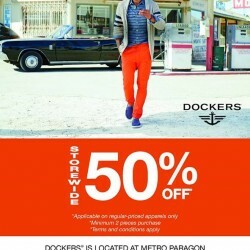 DOCKERS® is available at Metro Paragon. Dockers is now at Isetan Katong! Opening Specials (only at Isetan Katong) Less 50% on all regular priced shirts and pants from now till 31 January. 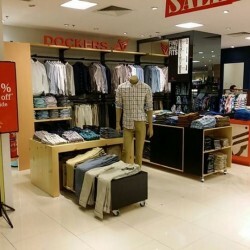 Check out Dockers counter at Level 2 Men’s Department at Isetan Katong today! 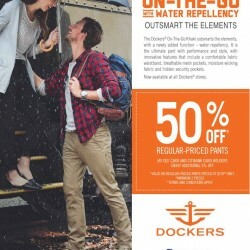 Enjoy 50% off regular-priced shirts and pants at Dockers. Jay Gee and Citibank Cardmembers enjoy additional 5% off. Valid with min 2 pcs purchase. For a limited time only. Metro | 50% off Dockers regular-priced shirts min. 2 pcs. Enjoy 50% off regular-priced shirts and pants from Dockers®. Valid with a minimum purchase of 2 pieces. 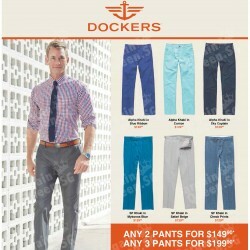 Enjoy 50% off regular-priced shirts and pants at Dockers. Jay Gee and Citibank Cardmembers enjoy additional 5% off. The definition of smart-casual. 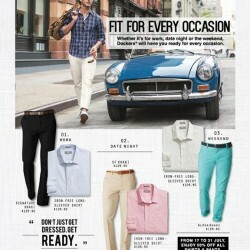 Find the perfect one to match your personal style at Dockers. Purchase your polo tees at $39.90 (minimum 2 pieces). Attention! Jay Gee and Citibank Cardmembers enjoy additional 5% off sale items. Valid with min 2 pcs purchase. For a limited time only. Terms and conditions apply. Visit in-store for more details. It's back to basic Monday! 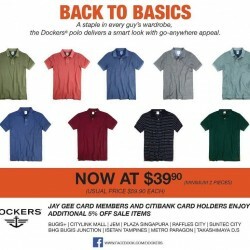 Stock up on your wardrobe staples at Dockers! 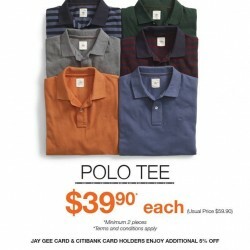 Polo essentials at $39.9! Jay Gee Card members get an additional 5% off. From now till the end of this month, enjoy 50% off all shirts & pants from Dockers! Whether it's for work, date night or the weekend, Dockers' will have you ready for every occasion. Min. 2 pcs purchase required.